Thursday, January 21 at 8:30PM, it’s another installment of GNU VOX hosted by David Devoe. This latest installment will feature singer-songwriter Natascha Roth accompanied by guitarist James Schofield. 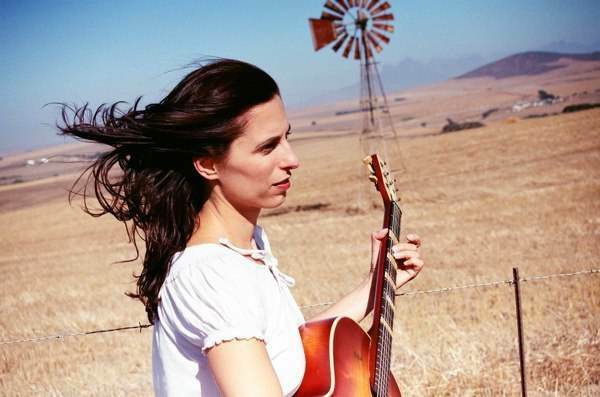 Roth currently divides her time between Berlin, New York and Cape Town, South Africa. Natascha’s new project is called “Way Out South”. It is a journey into a world of sounds, space and hypnotic rhythms. A world of extremes where light and dark meet and where music reconnects the spirit.Since leaving home, as a teenager Natascha has studied Musical Theatre at the Max Reinhardt Seminar in Vienna and attained a masters degree in jazz voice from the University in Graz, Austria. Her teachers and musical role models include Mark Murphy, Andy Bey, Jay Clayton and Sheila Jordan. Besides following her own career as a performer Natascha has lectured in Jazz Voice at the University of Cape Town (SA), the Lemmens Instituut Leuven (BE) and the Royal Conservatory of Antwerp (BE).Recently Natascha played in the USA alongside jazz singer Jeanie Bryson daughter of the late Dizzy Gillespie. In South Africa Natascha was featured at the Melodi International Jazz Festival 2007 sharing the stage with legendary Zulu Vocal Trio “Mahotella Queens”, 4 times 2007 SAMA award winner Simphiwe Dana, Lira and saxophone giant Pharaoh Sanders. Cover’s $10. You are currently browsing entries tagged with natascha roth at Cornelia Street Café.